The Vantagescore is a 3-digit credit score much like FICO credit score. VantageScore was created by the three major credit bureaus, Experian, Equifax and Transunion to directly compete with the widely used Fair Isaac Corporation (FICO) credit scoring model. 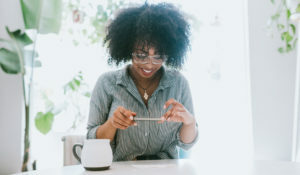 The creators of the VantageScore model plug their credit scoring model as more beneficial to consumers than the traditional FICO credit scoring model. 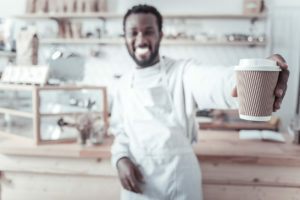 Two of the advantages allegedly unique to VantageScore is: (1) a consumer with a limited credit history can be assisted by lenders using a VantageScore; (2) VantageScore offers more consistency across the three major credit bureaus which provides clarity for consumers as well as lenders. VantageScore believes their credit score is more consistent because the inconsistency among the credit score the three credit bureaus generate for FICO is reduced because Experian, Equifax and Tranunion use the same credit scoring formula under the VantageScore. But many industry experts are doubtful VantageScore actually offers anything different from the FICO credit scoring model. In comparing the VantageScore vs. FICO score model, both 3-digit numbers are used to determine a consumer’s creditworthiness. The VantageScore ranges from 501-990 and the FICO score ranges from 300 to 850. Payment History: Do you consistently pay your credit obligations according to the terms of the loan. Basically, do you pay your bills on time or do you have a history of late payments. Available Credit: How much credit is currently available for use on your credit accounts? 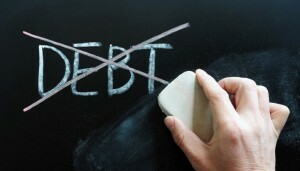 Are you maintaining low balances or are your credit cards maxed out? The target level is to keep balances at or below 30% of the total available credit. Credit Utilization: How much of the total credit available is currently in use? Do you have access to available credit or have you already used all of your available credit. Consumers using most or all of their credit are deemed as high-risk. Credit Balances: Similar to credit utilization, the current and past credit balances are used to determine how you use credit. What is the total of current and delinquent account balances? Depth of Credit: How long have you used credit and do you have a good, diverse, mix of credit such as mortgage loan, auto loan, credit card, line of credit or do you just have a history of credit cards on your report. 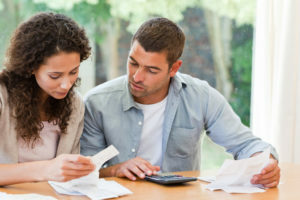 Recent credit: Are you applying for credit and opening new credit accounts too frequently. How many recently opened credit accounts and credit inquiries are on file? 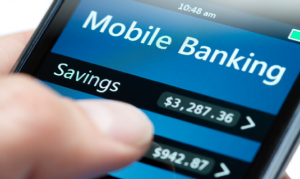 Consumers with several recent new accounts in a short time period are viewed as risky as it may be interpreted as having financial difficulty. Payment History: Payment information on all accounts listed on credit reports, do you have late payments and, if so, how delinquent are those accounts. Any presence of public records such as bankruptcy, judgments, liens or wage garnishment. Amounts Owed: How much is owed on credit accounts and what is your balance compared to your available credit limit. Have you maxed out any credit accounts or do you keep your balances low. Length of Credit History: How long have you had credit. Are you new to credit or have you had credit for some time. A longer credit history gets you more points in the FICO scoring system. New Credit: How many accounts have you opened recently, how many credit inquiries are on your report and have you re-established a positive credit history after having had prior payment issues. 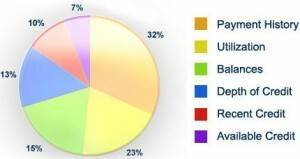 Types of Credit: What is your credit mix. Do you have credit cards, retail accounts, installment loans, mortgage loans or loans from a consumer finance company. As you may gather, both credit scoring formulas basically utilize similar factors in calculating credit scores. 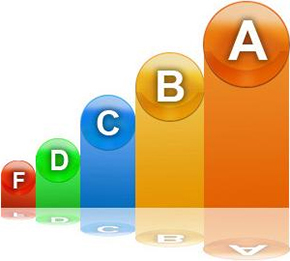 The percentage breakdown may differ but the elements of the credit score are very similar. The benefits of having a uniform, easily understood letter grade VantageScore speaks of does not make it more beneficial than the FICO credit score. VantageScore’s letter grade appears to be little more than a conversion of the numeric credit score. Aside from the letter grade vs. numerical scores, the differences VantageScore boasts are slight. However, it is always a good practice to know all of your credit scores and more lenders are incorporating VantageScores when pulling credit reports.